Yes, there will be fireworks this year, scheduled for tonight at 9:15 p.m., launched from a barge anchored off Crescent Beach. Chamber of Commerce President Art Williams said the event, cancelled last year, will cost in the range of $35,000, but the Chamber has an $18,000 carry over from last year. The Chamber is picking up all expenses. 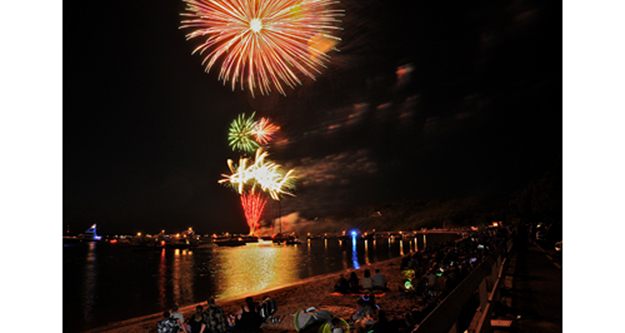 The largest expenses isthe barge where the fireworks will be launched, costing about $10,000, and the fee to Bay Fireworks of Bethpage, which is running the show, coming in at about $18,000. Then there’s expenses for portable toilets at the beach, insurance and other incidentals. A complicated event to organize, it became even more so, Mr. Williams said, citing coordinating with the LIPA crews digging the cross-bay power cable. Police Chief James Read said the crews will not be working the Saturday of the event. Also adding to the Chamber’s duties is working through increased permitting requirements from various state and federal agencies and increased security concerns since the bombings at the Boston Marathon.